REPORTS coming out of England indicate that the celebrated reggae crooner, the ‘cool ruler’ Gregory Isaacs is ‘not doing well’. Yesterday, the rumour mill began turning that Isaacs was in a coma and just barely hanging on. However, in a conversation with the Splash, wife, Linda Isaacs said her husband was not in a coma, but was in fact sleeping. 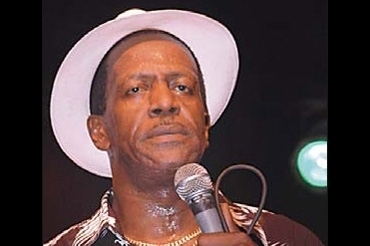 Singer George Nooks said he spoke with Isaacs who informed him that he was “hanging in there”. Nooks said he is rooting for his friend to overcome this hurdle and get back on his feet. Splash was not able to ascertain the exact nature of his illness. Isaacs has been a constant presence on the reggae music scene for some time. The singer has released a number of hits including Night Nurse, Tune In, My Number One, Love Overdue, Rumours and The Border.